On 29 March 2011, after weeks of harsh domestic political debate on how Sweden should respond to the international calls for a peace operation in Libya, the Swedish government decided that Sweden should participate in the United Nations (UN) sanctioned no-fly zone over the North African country.1 By making this decision, Sweden became the only country, neither a member of the North Atlantic Treaty Organization (NATO) nor the Arab League, to participate in the no-fly zone.2 In addition, the Swedish Air Force had not been involved in military action since 1963, in a UN-sanctioned operation in the former Belgian Congo. However, the decision also followed a clear pattern of Swedish foreign policy, that is contributing with peace keeping and peace enforcement troops to UN-mandated missions. Thus, for Sweden not to have joined the Libya operation would actually have been a more unusual behavior, ‘even though the presence of the air force added a new dimension to this particular mission’ (Dahl, 2012, p. 5). As a contribution to the previous research, this article demonstrates that we need to take into account factors from a number of particular perspectives in order to explain the Swedish case. First of all, insights from the constructivist perspective on humanitarian intervention decision making are needed. Constructivists argue that the increasing use of humanitarian intervention since the end of the Cold War is mainly the result of states having incorporated ethics, values and ‘other-regarding’ concerns into their foreign policies to a greater extent than before (Wheeler, 2000; Finnemore, 2003; Bellamy, 2004; Chandler, 2004; Glanville, 2006). Thus, according to constructivist thinking, states can perceive humanitarian intervention as ‘a moral duty, a sense of obligation, about the appropriate response of states to crimes against humanity being committed in other states’ (Glanville, 2006, p. 158). The subsequent empirical analysis demonstrates that the Swedish decision reflected, in part, feelings of altruism, that is a desire to help ‘individuals in need and who are not part of the own nation’ (Krieg, 2013, p. 50). Thus, the Swedish government perceived the humanitarian situation in Libya as dire and very alarming, and this perception contributed to its deployment of troops. However, as revealed in the empirical analysis, altruism was a necessary, but not a sufficient, reason for the decision. In order to explain the Swedish case, we also need to incorporate a rationalist perspective on the decision making. In contrast to constructivism, rationalist researchers claim that foreign policy is ‘business as usual’, emphasizing various forms of self-interest in decisions to intervene (Neack, 1995; Krauthammer, 1999; Gibbs, 2000; Mearsheimer, 2001; Hildebrandt et al, 2013). By incorporating constructivist and rationalist perspectives into the same framework, the article builds on a small but growing literature on humanitarian intervention decision making (Shannon, 2000; Glanville, 2006; Ward, 2010; Krieg, 2013). This literature is based on the assumption that, even if political leaders have an inclination to help others, the actual willingness to do so depends on other circumstances. As argued by Krieg (2013, p. 50): ‘Since even the most altruistic personalities do have limits in their ability to do good for the benefit of others without creating harm to themselves, altruistic action is naturally subject to selectivity’. Thus, if the decision to send troops to save strangers is perceived by the government to impact negatively on its self-interest, there will most likely be no intervention. The challenge for foreign policy researchers is to identify the conditions under which a particular state perceives that it can send troops to a humanitarian crisis without threatening its self-interest. This approach builds on the insight of Hudson (2005) that we should aim for multi-causal explanations in foreign policy research. As demonstrated in the analysis, before it made the final decision to intervene, the government believed that four particular conditions needed to be fulfilled, which decreased the political risks of participating in the intervention while also increasing the benefits of participating. The first necessary condition was the international, legal basis for the use of force, which was provided by the mandate from the UN Security Council (UNSC). For the government, the maintenance of international law is of particular importance, and, therefore, Sweden would not participate in a military operation without a legal basis. This finding provides support to a particular body of rationalist research that highlights the importance of international law for small states such as Sweden (Keohane, 1969; Watson, 1982; Neumann and Gstöhl, 2004; Thorhallsson and Wivel, 2006).5 According to this literature, small states favor institutionalization of interstate relations, ‘because all members of international institutions are usually subject to the same rules and face the same sanctions if they break the rules. Thus, raw power matters less in an institutionalized environment’ (Thorhallsson and Wivel, 2006, p. 655). Although great powers may have institutional privileges, international law ‘makes resource-based power effects more visible because norms and rules are formalized and thus require justification. This is a key reason why small states highly value international law’ (Neumann and Gstöhl, 2004, p. 2). This thinking characterized the Swedish decision making, as demonstrated below. The second condition was that the operation was coordinated and executed by a strong military actor, in this case, NATO. In contrast to a coalition of the willing, NATO could provide the mission with a clear leadership structure, which for Sweden is important for both practical and political reasons. In addition, when NATO decided to take control of the mission, a situation in which the government could demonstrate its support for the Western alliance was created. Sweden’s participation in the Libya operation was, thus, related to a more overarching ambition of the government to further strengthen its relationship to NATO. These findings can be related to the realist perspective, which claims that material interests are always present in the foreign policy calculations of states (Krauthammer, 1999; Gibbs, 2000; Mearsheimer, 2001; Dueck, 2009). From this perspective, small states can join interventions in order to strengthen their relationship to the leader of the operation, usually a great power. The reason for this is that the small state perceives that stronger relations to the great power will increase the small state’s security and its influence on the international arena. The third condition was the broad parliamentary support for participating in the no-fly zone. The decision was facilitated by the actions made by opposition political parties, as these parties started to support participation in the operation earlier than the government did so, thereby attempting to put pressure on the government. When the government then decided to send troops to Libya, it knew that it could count on the support of the opposition. These findings provide support for theories on the domestic politics of military intervention (Howell and Pevehouse, 2005; Drury et al, 2010; Kreps, 2010; Hildebrandt et al, 2013). According to this literature, when governments send troops abroad, they want to make sure that the decision does not impact negatively on their political power at home. One way of accomplishing this is to have broad parliamentary support, so-called elite consensus, as it protects the government from electoral punishment, if the military operation turns into failure (Kreps, 2010). The fourth condition was that Sweden by coincidence had relevant military resources on standby, which could be deployed quickly to Libya. Thus, the Swedish decision making was characterized by an element of chance. This can be related to insights from the ‘opportunity and willingness approach’ to state decisions to intervene (Most and Starr, 1980; Siverson and Starr, 1990; Starr, 2005; Corbetta, 2010). According to this approach, even if an actor is willing to join a military operation, it may not have the opportunity to do so, as it lacks the necessary military capabilities. As noted by Starr (2005, p. 395) ‘Wishing for something to happen is not enough – the capabilities to act for its fulfillment must be available’. The Swedish case reveals this interplay between willingness and opportunity, and how it contributed to the outcome of the case. In sum, the Swedish decision was the result of a combination of factors, which has not been recognized in previous research: feelings of altruism; a legal basis for the operation; the involvement of a strong military actor in the coordination and execution of the operation; broad parliamentary support; and the availability of military resources.6 The next section demonstrates the way in which these factors influenced the decision making. The final section discusses the comparative implications of the case. The Libyan crisis started with peaceful demonstrations against Colonel Muammar Gaddafi in Benghazi on 13 January 2011. These demonstrations were a part of the larger Arab Spring movement that swept across North Africa and the Middle East throughout 2011. As the protests in Libya developed into armed rebellion in mid-February, Gaddafi responded with systematic attacks by air and ground forces, often against non-combatant civilians (Domansky et al, 2012, p. 2). As demonstrated below, from mid-February, the Swedish government became more and more concerned about the humanitarian situation in Libya. This view resulted in a government decision to provide humanitarian aid to Libya. However, humanitarian sentiments on their own did not result in any attempts by the government to argue for a military intervention. On 19 February, Swedish Foreign Minister Carl Bildt referred on his personal blog to the confrontations in Libya as ‘unfortunate’ and called on the European Union (EU) to ‘condemn all acts of violence’ (Bildt, 2011a, 19 February). One day later, he wrote that ‘we strongly condemn the violence against peaceful demonstrators’ and that ‘we are extremely concerned about the current situation’ (Bildt, 2011a, 20 February). Moreover, Bildt perceived that Libya was on the brink of collapse, which could lead to ‘widespread refugee flows’ (Bildt, 2011a, 21 February). On 21 February, Ibrahim Dabbashi, Libya’s deputy Permanent Ambassador to the UN, who had abandoned Gaddafi, called on the UN to impose a no-fly zone over Libya. Two days later, Dabbashi’s proposal was endorsed by French President Nicolas Sarkozy (Watt and Wintour, 2011). Meanwhile, in Sweden, Prime Minister Fredrik Reinfeldt expressed in an interview that no dictator in the world should be allowed to remain in power and that he was startled by reports showing that Gaddafi’s fighter jets had been used against unarmed civilians (Svensson, 2011). However, members of the parliamentary opposition, most notably the Social Democratic Spokesperson in Foreign Policy Issues, Urban Ahlin, and Gustav Fridolin of the Green Party, wanted Reinfeldt and Bildt to be more forthright in their support for the democratic forces in Libya (Fridolin, 2011; Pehrson, 2011). However, Bildt believed his earlier statements had been very sharply worded, and accused the opposition for trying to discredit the government (Tidningarnas Telegrambyrå, 2011a; Bildt, 2011b). On 26 February, the UNSC adopted Resolution 1970, which considered the violence against civilians in Libya to be crimes against humanity. It also froze the assets of individuals implicated in human rights violations, while calling for an arms embargo on Libya (UNSC Resolution, 1970). The resolution was fully supported by the Arab League. On his blog, Bildt welcomed the UNSC decision and hoped that it would ‘speed up the process in Tripoli and other areas still under the control of Gaddafi’ (Bildt, 2011a, 27 February). The next day, British Prime Minister David Cameron proposed that a no-fly zone could be used to prevent Gaddafi from ‘using his armored helicopters against civilians’ (MacDonald, 2011). On 1 March, the USA Senate passed non-binding Resolution S.RES.85 calling for the resignation of Gaddafi and the possible establishment of a no-fly zone. Two days later, in a parliamentary debate in Sweden, Defense Minister Sten Tolgfors stated that Sweden will provide humanitarian assistance to Libya but will not work for any military solutions at this point in time (Parliament Records, 2011b, statement 63). On 9 March, the head of the Libyan National Transitional Council (NTC) pleaded for the international community to move quickly to impose a no-fly zone over Libya (McGreal, 2011). Bildt confessed on his blog that he was surprised by the persistence of the Gaddafi regime, whose soldiers seemed to push back the rebels (Bildt, 2011a, 10 March). On 10 March, France recognized the NTC as the legitimate government of Libya, and the following day, Cameron joined forces with Sarkozy demanding a no-fly zone (Denselow, 2011). However, Bildt noted that all military options considered by external states must be anchored in the UNSC and in the Arab League (Bildt, 2011a, 10 March). On 11 March, the Swedish government with the rest of the EU demanded the resignation of Gaddafi, but the EU Heads of State were not in agreement on whether military force should be used (Cendrowicz, 2011). By mid-March, Swedish decision makers had perceived that the humanitarian situation in Libya was acute and dire. However, this perception by itself did not lead the government to conclude that it should work for the initiation of a no-fly zone within the frameworks of the UN or argue for participation in the operation suggested by Britain and France. As noted by one senior civil servant at the Swedish Foreign Ministry: ‘At this point in time Sweden was not pushing for international engagement in Libya’ (Widman, 2013). If altruism had been the sole reason for the later decision to join the operation, it seems reasonable to assume that the government would have supported the establishment of a no-fly zone more actively already in mid-March. Instead the government adopted what can be called a ‘wait and see approach’, in order to observe what the UNSC, NATO and the political opposition were up to. Altruism can, nonetheless, be seen as one of several reasons for the final decision on 29 March. As stated by Widman (2013): ‘The government joined the operation, among other things, because there was an urgent need for humanitarian intervention and because the government felt an obligation to help’.7 However, calculations of self-interest were also involved. As summed up by Tolgfors (2011), ‘Sweden helps others, not only because it is the right thing to do, but also because it strengthens our own security’. In the government’s national strategy for participation in peace operations, it is stated that, in addition to promoting universal values such as ‘justice’ and ‘human rights’, participation ‘also benefits our national security and Swedish interests’ (Government report, 2008, p. 3). On 12 March, discussions on how to handle the Libyan crisis intensified within the UNSC, which resulted in a proposal for a no-fly zone by Lebanon’s Permanent Ambassador to the UN on 15 March. The resolution was immediately backed by Britain and France (Denselow, 2011). Later the same day, the Social Democratic Parliamentary Group demanded that the government actively works for the establishment of a no-fly zone within the UN and that the government declares its willingness to participate in it (Tidningarnas Telegrambyrå, 2011b). Bildt criticized the Social Democrats for moving too fast on this issue, arguing that Sweden could not participate in a no-fly zone without a UNSC-mandate (Bildt, 2011a, 15 March). The next day, Bildt said that, before the government decides on how Sweden should act with regard to a possible no-fly zone, we should await further developments within the UNSC. He also argued that the operation needed to be executed by an actor with necessary military resources, most notably the USA or NATO (Dagens nyheter, 2011). Later the same day, the UNSC passed Resolution 1973, which authorized a no-fly zone and the use of all means necessary short of foreign occupation to protect civilians. The resolution also supported the principle of the Responsibility to Protect (R2P) by emphasizing the responsibility of Libyan authorities to protect the civilian population (UNSC Resolution, 1973).8 The resolution was approved by a vote of 10 in favor, zero against and five abstentions (from China, Russia, Brazil, Germany and India). On 18 March, Bildt welcomed the legal basis for the mission, while also underlining that Sweden had no current plans to assist in the operation, but that any NATO request would be considered (Bildt, 2011a, 18 March). ‘NATO must first take a decision and decide on its military contribution. We will then see if they need to solicit other countries’, he explained. Bildt was once again heavily criticized by Ahlin, who stated that: ‘For me, it is irrelevant if the request comes from France, the UN or from NATO. The UN has called for the mission’ (Tidningarnas Telegrambyrå, 2011c). On 19 March, a coalition joint task force began launching air operations in Libya to enforce the no-fly zone.10 The next day, the Swedish Armed Forces informed the government that it could dispatch up to eight JAS 39 Gripen planes to Libya on a 10-day standby. At the same time, members of the Liberal Party and the Christian Democratic Party criticized Bildt for waiting for a NATO request rather than offering Swedish help (Tidningarnas Telegrambyrå, 2011d). On his blog, Bildt pointed out that a role for Sweden in the operation was by no means certain (Bildt, 2011a, 20 March). According to a Demoskop poll published in the Expressen daily on 22 March, 65 per cent of Swedes supported participation in a UN military operation in Libya, while 33 per cent were skeptical. However, Bildt declined to give any confirmation on how imminent Swedish involvement in the mission was: ‘We don’t know, because we don’t know how the operation is going to be organized yet. However, we are prepared to contribute with what’s needed and with what we are good at’ (Sandberg, 2011). Later the same day, Operation Unified Protector commenced as a NATO-led mission to enforce the UN-arms embargo. On 23 March, the Swedish Ministry of Defense requested the Armed Forces to suggest a detailed plan for a possible Swedish contribution to the Libya operation (Government bill, 2011, p. 4). The following day, NATO agreed that it would assume responsibility for the no-fly zone on 29 March at the latest, and intensive discussions between Bildt and the Secretary General of NATO, Anders Fogh Rasmussen, were initiated (Bildt, 2011a, 24 March). It seems that, during these discussions, Rasmussen made an informal request to Bildt, asking whether Sweden would be interested in joining the operation (Associated Press, 2011; Benigh and Magnusson, 2011). On his blog Bildt noted that he hoped for NATO taking control of the operation as soon as possible, and when that happened, Sweden would decide on its own contribution (Bildt, 2011a, 27 March). On 27 March, NATO assumed full responsibility for the no-fly zone and all other military aspects of the UNSC resolution. The following day, Bildt confessed on his blog that ‘it is important that we participate [in the NATO operation] in one way or the other’ (Bildt, 2011a, 28 March). On the morning of 29 March, the Foreign Ministry received a formal request from NATO, welcoming a Swedish contribution to the operation (Foreign Ministry, 2011), and shortly thereafter the government and the opposition could agree that Sweden would participate in the operation with fighter jets.11 According to both Cederberg (2013) and Göthe (2013), the idea of using fighter jets for the first time since the 1960s came from the ‘highest political level’, indicating that it was a ‘top-down initiative’. The agreement between the government and the opposition implied that the fighter jets only would maintain the no-fly zone, while not engaging in combat actions against targets on the ground (see also below). Why was it so important for the government that NATO took control of the operation? First, in the view of the government, NATO could, in contrast to a coalition of the willing, provide the operation with a clear leadership structure (Bildt, 2011c; Cederberg, 2013; Widman, 2013). Without a clear leadership structure, it becomes more difficult for Sweden to obtain political influence within the operation and to make sure that its military units conduct the ‘right’ assignments (Widman, 2013). Despite not being a member of the alliance, it is easier for Sweden to take part within a NATO-led effort, as its military is familiar with procedures following previous cooperation (Government report, 2008; Bildt, 2011c). As stated by Bildt (2011c) ‘Following the successful pattern in other operations, we expect to consult closely with Allies and Partners on all political and military matters relating to the conduct of the mission’. Second, when NATO took control of the operation, a situation in which the government could demonstrate its support for NATO was created. The government explicitly refers to its ‘partnership with NATO’ as a ‘central basis for Swedish foreign, security and defense policy’ (Government report, 2008, p. 4). One way of maintaining this partnership is to contribute to peace operations. By doing so, Sweden proves its worth without being a member. The partnership is, in turn, important for maintaining and strengthening Sweden’s security and its influence on the international arena. Thus, one reason for participating in peace operations seems to be based on security concerns, such as developing Sweden’s crisis management capacity, including the interoperability of its armed forces (Government report, 2008, p. 12). As noted by one senior civil servant at the Ministry of Defense: ‘It was important that our planes participated in a real operation and, thereby, gained valuable experiences’ (Anclair, 2013).12 In addition, another high-level civil servant noted that, by participating in NATO operations, the government demonstrates that Sweden, after decades of formal non-alignment, belongs to the NATO community. By demonstrating its solidarity and that Sweden is a ‘player’, the likelihood that NATO will help Sweden in the future increases. By participating in peace operations, Sweden can also promote regional stability, which benefits Swedish security by decreasing the risk for terrorism, refugee flows or drug trafficking, according to the government’s thinking (Tolgfors, 2011). Participation in NATO operations is also one way of obtaining influence: ‘The participation increases our credibility, which is useful for us in several different areas within our partnership with NATO’, as stated in a Government report (2008, p. 12). As noted by Göthe (2013), for the government, it is important to sit at those tables where the most important decisions on European security are made. ‘Based on our experiences from participating in Afghanistan, we know that participation in NATO operations can increase our influence’ (Anclair, 2013). Moreover, in comparison with the political opposition, the government has a more positive view of NATO as a peace promoting organization, and the discussions on a possible contribution to Libya had been preceded by increasing critique from the opposition toward Sweden’s deployment in Afghanistan and the leadership of NATO in that operation (Ahlin, 2011; Tolgfors, 2011; Parliament Records, 2011a, statements 6, 8, 47; Göthe, 2013). Thus, one civil servant noted that, for the government, it was important to demonstrate that NATO was an organization that could contribute to humanitarian operations. By doing so, arguments for a continued Swedish presence in Afghanistan would be strengthened. The government’s Libya decision was thus linked to the Afghanistan issue and the government’s desire to influence the views of the opposition in that issue. Furthermore, the decision cannot be explained without reference to the broad parliamentary support. When the government decided that Sweden would participate in the operation, it knew that it could count on the opposition, as the opposition had committed itself to military action before the government had done so. Why was broad parliamentary support so important for the government? First, the government could not commit Sweden to military action without the support from Parliament, because, according to Swedish law, the approval of Parliament is required for sending armed forces to another country. Second, broad support in Parliament, so-called elite consensus, protects the government from electoral punishment, if the military operation turns into failure. In case the operation fails, all of the parties have to stand accountable, and none of them can score political points after the policy failure. Thus, the parliamentary opposition can be said to have acted as a facilitating factor in this case. However, government officials said that the no-ground-attacks caveat was the result of demands made by the opposition, in particular by the newly appointed Social Democratic Party Leader, Håkan Juholt (Bildt, 2011a, 29 March; Parliament Records, 2011d, statements 1, 15; Tidningarnas Telegrambyrå, 2011e). In that case, the opposition was also a constraining factor. However, it is unclear to what extent Reinfeldt and Bildt actually were prepared to allow the fighter jets to engage in ground attacks. They might have been quite relieved over the no-ground-attacks demand, as it implied less political risks, as suggested by one civil servant. By holding the Social Democrats responsible for the caveat, however, they could score some political points among their own constituencies. Juholt could at the same time strengthen his political image by taking credit for constraining the government’s behavior. However, in the bill, there was no explicit reference to the R2P. As a matter of fact, during the period of February–April 2011, there were hardly any official statements made by the government in support of the R2P. Thus, the Swedish support for Resolution 1973 reflected a desire to help protect civilians in Libya, but it did not express any verbal support for the long-term strengthening of the R2P. The no-ground-attacks caveat was disliked by several members of the governing parties, who blamed the political opposition (Parliament Records, 2011d, statements 1, 15). The head of the Liberal Party, Jan Björklund, stated that the ‘Social Democrats were very quick to criticize the government for not acting, but now when it is a reality, they are afraid to make a stand’ (Tidningarnas Telegrambyrå, 2011e). Juholt responded: ‘We don’t know how the Libyan units are put together. For all we know they could be drugged children or child soldiers. We have no idea what is waiting for us on the ground, so it is too risky to expose ourselves to this’ (Tidningarnas Telegrambyrå, 2011e). However, as noted above, Reinfeldt and Bildt thought that the caveat was necessary in order to reach consensus among the main political parties (Bildt, 2011a, 29 March; Parliament Records, 2011d, statement 1). The Swedish deployment was formally approved by Parliament on 1 April. Only the right-wing, nationalist Sweden Democrats was opposed. The parliamentary report emphasized that the international society must engage on long term to the benefit of Libyan democracy, human rights, social development and rule of law (Parliamentary Report, 2011). A reference to the R2P had also been included in the report: ‘the Committee welcomes the decision made by the UNSC on 17 March, expressing its support for the principle of R2P, which was approved by the UN 2005 World Summit’ (Parliamentary Report, 2011, p. 8). This phrase was most likely included after demands made by the political opposition. The Swedish aircrafts left for Sigonella Air Base, Italy, on 2 April. The final necessary condition for the rapid Swedish contribution to the monitoring of the no-fly zone between April–June 2011 was that the aircrafts were part of the Expeditionary Air Wing (EAW), which at the time was on standby within the EU NBG.15 In addition to providing Sweden with the actual capabilities for maintaining the no-fly zone, it also implied that the Swedish soldiers had a mental preparedness, had conducted exercises before the Libya operation, and had the necessary knowledge and understanding of the system they would be a part of (Göthe, 2013; Wilson, 2013).16 As noted by Egnell (2012, p. 12) ‘when the political decision was made, the unit simply had to take off and apply the systems already in place’. Thus, by coincidence, Sweden had relevant military resources on standby, which could be deployed quickly to Libya. The Swedish decision making was in that way characterized by an element of chance. If the NBG had been on standby 1 year earlier, the government would most likely not have been able to commit Sweden to the operation until much later, if at all. In addition, the planes were fully compatible with NATO interoperability standards and had previously been used in NATO exercises (Egnell, 2012, p. 22). The Swedish decision to send troops to Libya can be seen as the result of a combination of factors: altruism; the legal basis for the operation; the involvement of a strong military actor; broad parliamentary support; and the availability of military resources.17 Without one of the factors, the government would most likely not have committed Sweden to the operation. While altruism seems to have been necessary for creating a sense of obligation to act on the part of the government, the other four factors were necessary for creating a situation in which the government perceived that it could act without detriment to its self-interest. What then are the comparative implications of this case study? 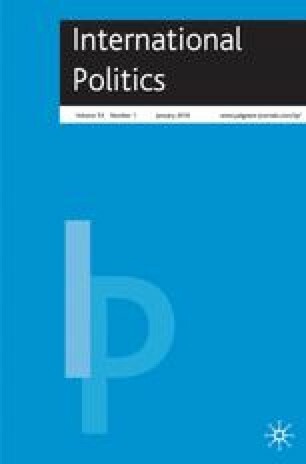 First, the combination of factors might be used as an analytical tool for explaining other decisions on humanitarian intervention made by liberal democratic small states. When an intervention in Syria was high on the agenda of several Western powers in August–September 2013, Sweden stated that it would not take part in such an enterprise. Although the government had a clear humanitarian purpose for joining an intervention in Syria, and the operation would have been led by a strong actor, the operation would have lacked international authorization and parliamentary support. In addition, Sweden did not have available and relevant military resources. Without one of the conditions, Sweden will most likely not participate in the particular operation, and, here, three out of five circumstances were absent. Looking at Finland’s decision not to participate in the Libya operation, it seems that four of the five factors were present. What was lacking in the Finnish case seems to have been broad parliamentary support. With General Elections being held on 17 April 2011, it seems reasonable to assume that most parties perceived the political risks of involving Finland in a military operation to be too high. However, the issue should be investigated further by conducting a comparative study of Finnish and Swedish decision making. By including Denmark and Norway, which decided to participate immediately after the operation had been authorized by the UNSC, comparisons between non-aligned and aligned small states can also be conducted. The government at the time was a non-socialist coalition composed of the Moderate Party, the Liberal Party, the Center Party and the Christian Democratic Party. However, Sweden is a member of the Partnership for Peace, it conducts military exercises with NATO, and it has participated in almost every NATO mission since the end of the Cold War (Dahl, 2012, p. 2). In a humanitarian intervention, the interveners face a hostile environment when trying to stop a human rights crisis, unlike a peace keeping or a relief mission, in which the governing agent in the target state agrees to the interveners’ presence (Gibbs, 2000, p. 42). Comprehensive reviews of this literature are provided by Ward (2010); Aubone (2013) and Krieg (2013). Following Keohane (1969, p. 293), a small state is here defined in terms of its perceived role in the international system: A small state ‘is a state whose leaders consider that it cannot act alone effectively but may be able to have systemic impact in a small group or through an international institution’. A great power, on the other hand, ‘is a state whose leaders consider that it can, alone, exercise a large, perhaps decisive, impact on the international system’ (Keohane, 1969, p. 296). For a recent discussion on the concept of small states, see Kassimeris (2009). The empirical foundation for these claims is based on a multitude of different sources, including government bills and reports, speeches and remarks made by key decision makers, parliamentary records, media coverage, blog entries by the Swedish Foreign Minister, secondary sources and interviews with high-level civil servants from the Ministry for Foreign Affairs and the Ministry of Defense. In order to establish empirically that a certain factor, for instance, altruism, contributed to the decision, its importance should be explicitly referred to in different documents and by different decision makers on several occasions and in different contexts. In addition, there should be a clear temporal relationship between changes in the independent factor and changes in the willingness of the government to participate in the intervention, that is the change in the dependent variable should be preceded in time by a change in the independent variable. The explanatory relevance of a particular factor is then evaluated on the basis of interviews with civil servants, who had important positions in the decision-making process leading up to the Swedish deployment of troops to Libya. More sources supporting this argument are provided in the subsequent sections. The R2P was approved at the UN General Assembly 2005 World Summit. It consists of a set of principles, based on the idea that sovereignty is not a right, but a responsibility. R2P focuses on preventing four crimes: genocide, war crimes, crimes against humanity and ethnic cleansing. It has three ‘pillars’: a state has a responsibility to protect its population from mass atrocities; the international community has a responsibility to assist the state to fulfill its primary responsibility; and, if the state fails to protect its citizens from mass atrocities and peaceful measures have failed, the international community has the responsibility to intervene through coercive measures such as economic sanctions. Military intervention is considered the last resort. In contrast with previous Swedish governments, the Reinfeldt government has a somewhat more skeptical view of the UN (Dahl, 2012, p. 5). Of essential importance to the present government is that the operation is authorized by international law, and that can be accomplished either through a mandate in the UNSC or by an invitation from the host state (Hydén, 2013). Thus, depending on the situation, a UNSC mandate is not a prerequisite for Sweden taking part in military operations abroad. As stated in a Government report (2008, p. 9): ‘In acute situations, when the UNSC does not shoulder its responsibility, Sweden must, after careful evaluation, nevertheless decide what can be done to ease human suffering’. The initial coalition was composed of Belgium, Britain, Canada, Denmark, France, Italy, Norway, Qatar, Spain and the USA. The coalition was then expanded to 19 states, including Sweden. In contrast to the UN system, formal requests are usually not sent to member states or partner states within the NATO structure. In the Swedish case, a formal request was nonetheless needed for the domestic debate and NATO therefore provided such a request (Egnell, 2012, p. 12). Anclair (2013) adds that, while ‘gaining valuable experiences’ was important for the government and the Swedish Armed Forces, this was not the sole or main reason for participating in the operation. The mission covered the period from 1 April to 26 June. The formal purpose was only to defend the no-fly zone through Tactical Air Reconnaissance (TAR). This implied that the Swedish military could not gather intelligence with regard to civilians in danger or breaches of the weapons embargo. In a parliamentary decision on 17 June, the mission was extended to 24 October with a mandate that covered TAR across the full spectrum of UN-mandated tasks, including the enforcement of the arms embargo and the protection of civilians (Egnell, 2012, p. 30). As argued by Dahl (2012, p. 6), Sweden’s participation in the Libya operation confirmed the country’s position as a reliable partner, leading, among other things, to Sweden being invited to take part in the NATO Crisis Management Exercise in the fall of 2011. The NBG is one of the 18 EU battle groups. It consists of around 2200 soldiers, with manpower contributed from Sweden, Finland, Norway, Ireland, Estonia and Latvia. The second alert period of the NBG was between 1 January and 30 June 2011, meaning that all personnel shall be at their operating bases within 48 hours after the decision to initiate an operation is made. The EAW was a self-sufficient unit that had all ‘the necessary command structures, logistics, ground staff, and mission support elements, including the all-important photo interpreters. The unit also had a complete set of standing orders, standard operating procedures, and months of training behind them’ (Egnell, 2012, p. 12). An alternative explanation is that the major aim was to market the JAS Gripen for an international audience of potential buyers (Hoppe, 2011). However, this explanation does not seem to hold water. If the government had been interested in selling Gripen, it would probably have used these planes in Afghanistan. In addition, a successful display from the airplanes would have increased their market value, but an unsuccessful display would have decreased their value, and a successful display was in no way certain. Another alternative explanation is that the Swedish decision aimed at demonstrating solidarity with the EU, in particular with EU members with geographic proximity to Libya. However, although this factor may have played some role in the decision making, it was not part of the deliberations in planning for the Libya operation, as noted by both Göthe (2013) and Widman (2013). Looking at the historical record, Swedish participation in peace operations has not been limited to conflicts with close geographic proximity to the EU. Associated Press. (2011) Sweden asked to join Libya no-fly zone. The Spectator 29 March, http://www.thespec.com/news-story/2201674-sweden-asked-to-join-libya-no-fly-zone/, accessed 5 September 2013. Benigh, L. and Magnusson, Ö. (2011) Nato har frågat Sverige om Jas-plan till Libyen. Sveriges television, 28 March, http://www.svt.se/nyheter/varlden/nato-har-fragat-sverige-om-jas-plan-till-libyen-1, accessed 18 September 2013. Bildt, C. (2011a) Personal blog, various dates, http://carlbildt.wordpress.com/, accessed between 25 March and 14 August 2013. Cendrowicz, L. (2011) EU unites against Gaddafi, but not on what’s next. Time World 11 March, http://www.time.com/time/world/article/0,8599,2058534,00.html, accessed 20 August 2013. Denselow, J. (2011) Libya and Lebanon: A troubled relationship. The Guardian 16 March, http://www.guardian.co.uk/commentisfree/2011/mar/16/libya-lebanon-un-security-council-resolution, accessed 5 March 2013. MacDonald, A. (2011) Cameron doesn’t rule out military force for Libya. The Wall Street Journal 1 March, http://online.wsj.com/article/SB10001424052748704615504576172383796304482.html?mod=googlenews_wsj, accessed 20 August 2013. Tidningarnas Telegrambyrå. (2011b) S kräver flygförbud över Libyen. Sveriges television, 15 March, http://www.svt.se/nyheter/sverige/s-kraver-flygforbud-over-libyen, accessed 19 August 2013. Tidningarnas Telegrambyrå. (2011c) Swedish house backs Libya involvement. The Local, 20 March, http://www.thelocal.se/32734/20110321/, accessed 21 August 2013. Tidningarnas Telegrambyrå. (2011d) Svenska Jas-plan redo på tio dagar. Göteborgs-Posten, 21 March, http://www.gp.se/nyheter/sverige/1.577477-svenska-jas-plan-redo-pa-tio-dagar, accessed 5 March 2013. Tidningarnas Telegrambyrå. (2011e) Government yes to Gripen deployment. The Local 29 March, http://www.thelocal.se/32886/20110329/, accessed 21 August 2013. UNSC Resolution. (1973) S/RES/1973, adopted by the UNSC on 17 March 2011, http://www.un.org/Docs&/journal/asp/ws.asp?m=S/RES/1973%20%282011%29, accessed 7 February 2014. Watt, N. and Wintour, P. (2011) Libya no-fly zone call by France fails to get Cameron’s backing. The Guardian 23 February, http://www.guardian.co.uk/world/2011/feb/23/libya-nofly-zone-david-cameron, accessed 5 March 2013.